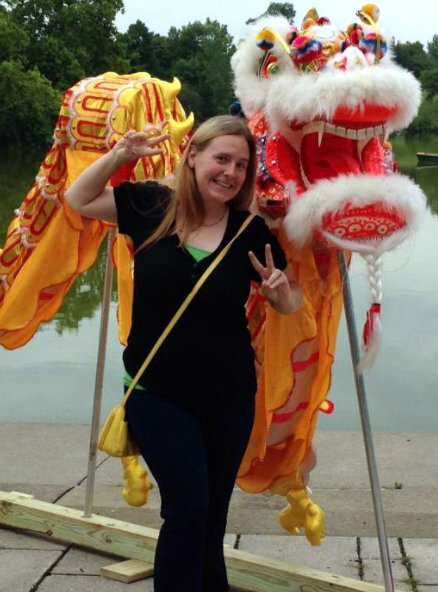 My Blissful Journey: Vegan MoFo ~ Fusion Challenge! Vegan MoFo ~ Fusion Challenge! I'm STILL plugging along with Vegan MoFo and the pre-determined prompts! Today's is...the Fusion Challenge! I'm not sure how much of a fusion dish this is but I *think* it would or could qualify! I made a 2nd slaw. Both of which I took to an omni pot luck. This 2nd one is a Curried Coleslaw. I used the same pre-packaged julienned/match-sticks and added a sauce made up of...1 C Golden Hunza Raisins, 1/4 C Pumpkin Seeds, 1/3 C Tahini, 1/4 C Lemon Juice, 2 T Maple Syrup, 1 T Curry Powder, 1/2 t Garlic Powder, 1 T Nutritional Yeast. I enjoyed both. The more I ate the more I liked the curry one. It seems the more traditional type people at the potluck enjoyed the first one more - including my husband. Not that these are FUSION but I also brought these Raw Vegan Lemon Balls to the Potluck. The flavor was good but they were a little dry. I suspect the Almond Flour was to blame. I need to tweak this recipe before posting. As you can see here there are 3 different looking "balls". 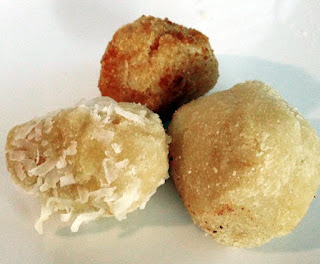 One I rolled in Shredded Coconut, the one is left as-is, and the one in the back I rolled in Coconut Sugar. 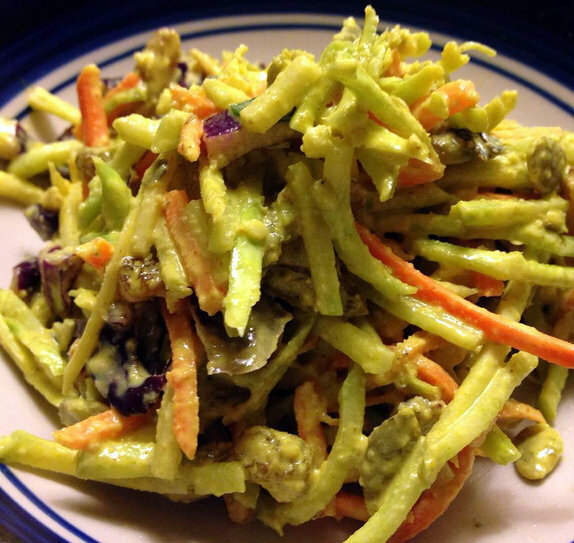 Question of the day: would you classify my Curried Coleslaw as a FUSION dish? I've never put tahini in coleslaw, I have to try that, and also curried coleslaw sounds divine! I definitely think the curried slaw would be fusion! 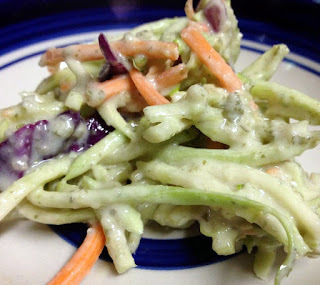 I think this was the first time that I had ever tried Tahini in slaw, too! They switched the fusion challenge to day thirty, and the Autumn equinox is today, since today's the first day of Autumn. DOH!!!! I guess that is what happens when I print the list out a week or two before it starts and work off of that! Ekkkkk...Maybe I will do a 2-fer today to make up for it! Curried coleslaw sounds fusion-y to me! I'm not a big fan of coleslaw, but I can imagine that being a really good side with a burger and chips! Thanks! It was a departure for me but glad I tried it! I really enjoyed it, too! I agree! Curry ANYTHING is pretty yummy! Lately it's what I have been craving!!! The coleslaw looks and sound wonderful. Thanks so much! I'm glad I attempted to make it! It turned out pretty well for someone who wasn't really a fan of coleslaw years ago! I can totally relate! I wasn't a fan either! Now I seem to like them! I totally think it's fusion...I love that idea! Thanks! I wasn't sure...sometimes certain posts have been a stretch but I have had FUN with them! That second coleslaw look yummy! Thanks! When I first saw that I was so surprised!!! I think I was chosen for the 1st week, too! The curry coleslaw looks sooooo gooood!!!!!! :) I'll definitely be making that one soon! Awww thanks! Let me know when and if you do and what you think! Curry coleslaw! Now, that's interesting. Looks a bit like our pickled cucumber - I think we have curry powder in that too, or tumeric, at least. When I first saw the recipe idea I thought that it was interesting, too! Glad I tried it! Pickled Cucumber? Now that I will have to look into since I have been thinking about fermenting things SOON. Sure! I'd classify it as fusion. Maybe Asian and North American. Oh! Yes! I thought so too! Glad someone other than me thought it qualified :) Thanks! And your lemon balls look good. They remind me of doughnut holes =) I bet they would be delicious rolling them in cinnamon! I like the sound of the curried coleslaw! OOh, I love the idea of making and eating Curried Coleslaw! Great fusion example! Thanks for sharing it with us at the Plant-based Potluck Party. I was happy with the way it turned out for my first try! It's sometimes hit and miss with me! HA!